I'm offering this standard poodle at a lowered price because I believe she should enjoy a forever home! She was my last work of 2016 and I've held her back so I could enjoy some time off to spend with my new puppy! 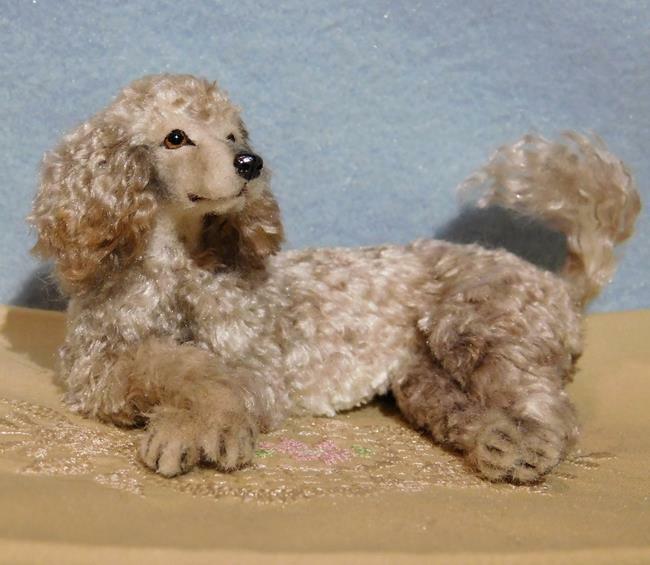 I first carefully sculpted her in polymer clay, painted the details with acrylic then applied the custom dyed silk fiber one layer at a time until achieving her curly, silky coat. I feel the photos represent her color very well, at least on my monitor! 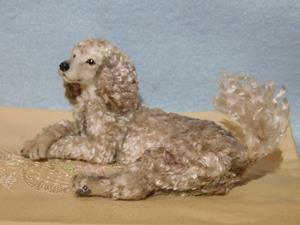 I made her eyes in a separate process then cured them into the sculpture. 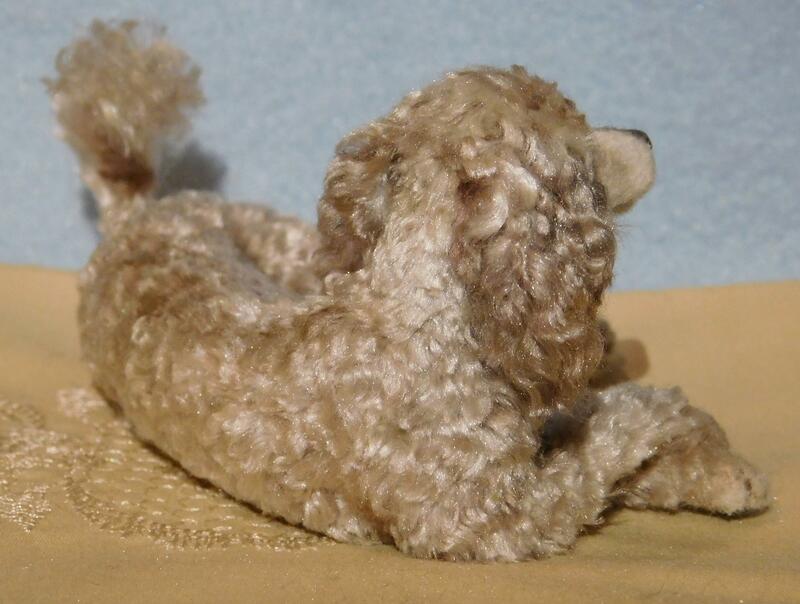 I will email the new owner a signed and dated certificate of authenticity that may be verified through the ebsq site. 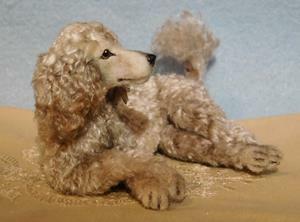 This is not 1/12th scale (please see photos) but would make a great addition to your poodle collection!